Hi everyone. 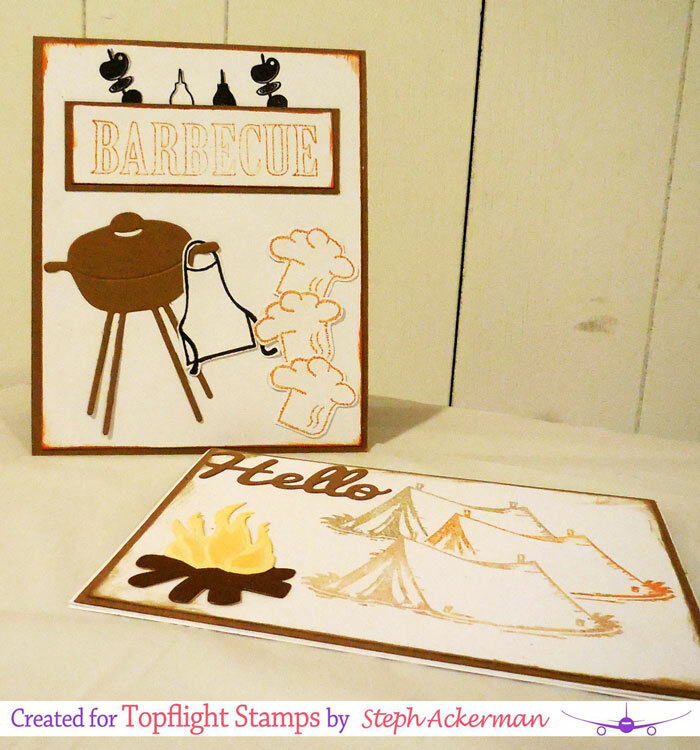 It's my turn on the Top Flight Stamps blog and I've created 2 summer themed cards. If you haven't checked out the Topflight store yet, you need to see the variety of stamps in the store. They have some amazing stamps from all over the world and I'm so excited to be designing with them. I used the Barbecue stamp set from Joy Crafts which comes with a barbecue die cut! 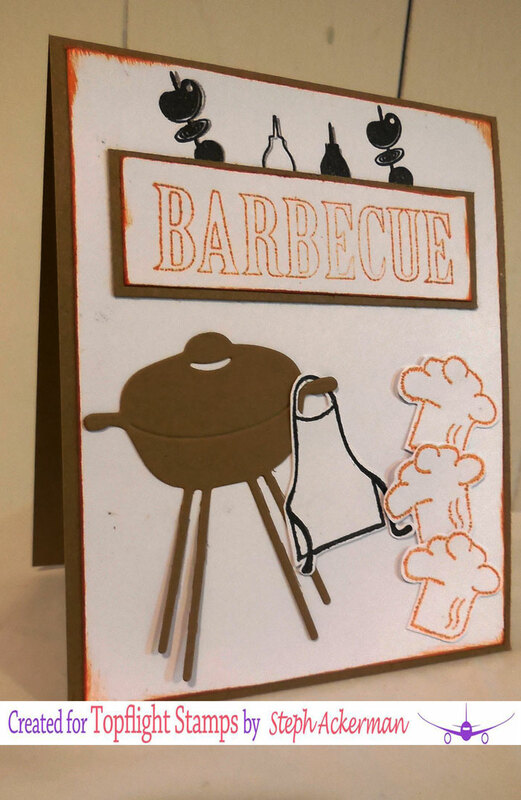 I stamped the elements and fussy cut some to add to the card. 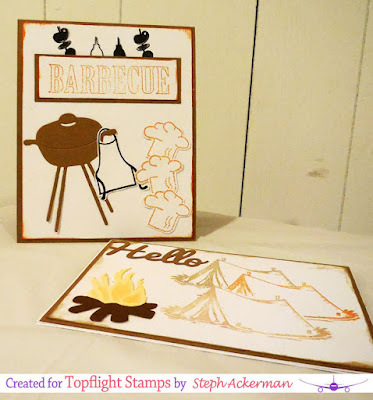 Using the tent stamp from the Barbecue stamp set, I used a masking technique to add 3 different colored tents on my card. I've also used the Campfire Die from Joy Crafts. To make it more realistic, I die cut it from 2 pieces of cardstock, cut it apart and reassembled it. 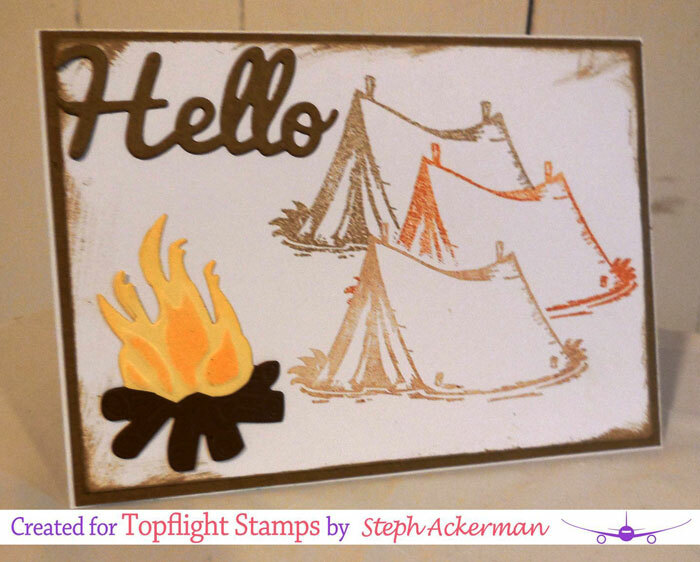 Please stop by the Topflight Stamp blog for more inspiration.